Updated Sept. 21, 2013 - with self titled LP picture and information. Interview with Dorthy Sowards conducted September 2009. In the fall of 1943, Vaughn Sowards decided to take a break from college. The then 19-year old came back home to Manassa, located midway between the New Mexico border and Alamosa, Colorado. While there he took in a football match-up between his high school alma mater, Manassa High School, and their arch rivals, La Jara High School. After the game, Dorthy and her friends went for a soda at a nearby café – and he just happened to show up. "He was very shy," she said. "He sent a waitress over to tell me that he wanted to talk to me." The two began dating, and realized they shared a common bond – they loved to sing. “We would go on dates, and go off where nobody could hear us, and sing,” she said. 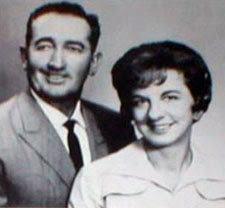 The couple stayed in touch, even after Dorthy and her family moved to Arizona, and Vaughn joined the U.S. Navy. Right after Dorthy graduated high school, the two married, and moved back to Manassa, where they took up ranching – but they never stopped singing. Before too long, word got out about the couple, who were soon being booked for weddings, funerals, and conventions. In the winter they would move to Arizona, where they made a living singing around Phoenix. In the summers they would come back to Colorado, where their talents were beginning to get noticed. 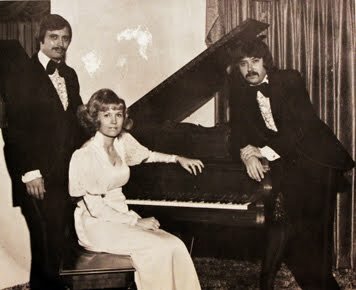 “One of our friends heard us sing, and mentioned that his son knew producer Norman Petty, in Clovis,” Dorthy said. 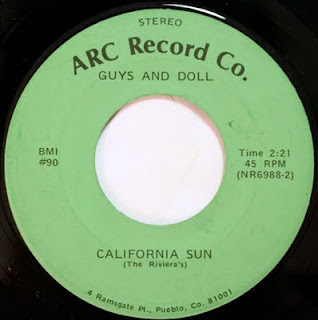 In 1965, the couple packed their bags and headed across the state line to put their songs on vinyl - where Buddy Holly had previously launched his career. 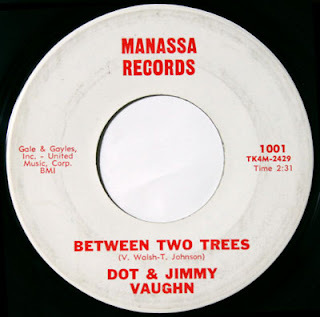 Listen to "Between Two Trees"
Before the records were pressed, the couple had one more professional decision to make. 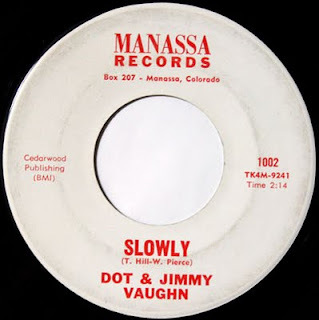 The records were put out on the couple’s own Manassa record label. Listen to "Slowly" 300 copies of “Slowly” were pressed, and sent to radio stations across the country. “It was picked in Billboard, as an up and coming record,” Dorthy said. The song also caught the ear of national agents and producers – but the timing was not right for the couple. 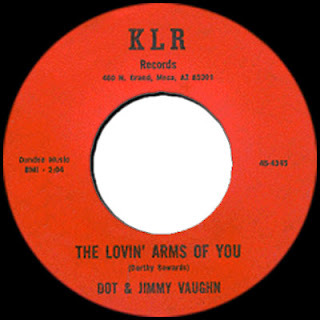 The couple would release a third single, also produced by Petty, and accompanied by the Fireballs, the Dorthy Sowards-penned “The Lovin’ Arms of You” and the b-side, “Hayseed” on the KLR label, along with a self-titled country album. “The label was named for the initials of our children, Kim, Lee and Rick,” Dorthy said. 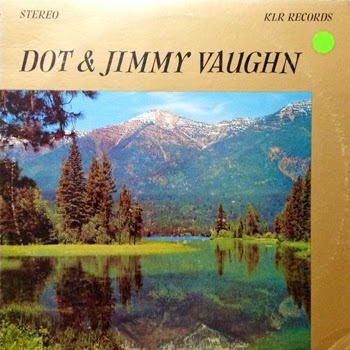 While Vaughn and Dorthy enjoyed singing country music, their heart was in performing sacred songs. As members of the Church Of Jesus Christ Of Latter-Day Saints, they often performed for church functions. Then one day they received a letter. “We were asked to come into the tabernacle in Salt Lake City,” said Dorthy. 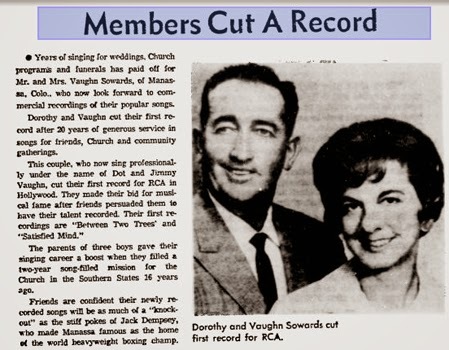 “They asked us to record a song there.” By the end of the two-night session, Dorthy and Vaughn had recorded 13 songs. With the blessing of the church, they brought the tapes back to Norman Petty, who sent them to the Dot record label – the same label that made national stars of Jimmy Gilmer and Fireballs. The Sowards were immediately signed. 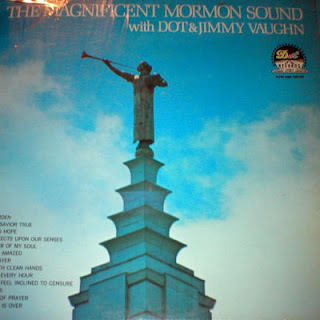 The Magnificent Mormon Sound was released in 1967. The couple stopped performing professionally in 1980, when Vaughn Sowards suffered a heart attack. They continued to sing in their church choir. Vaughn Sowards died in 2000. Interview with Angelo Rotondo conducted August 2009. Angelo Rotondo was ready to play music again. It was 1970, and just a few months earlier he was part of the “this close" to national success band, the Teardrops, who scored the huge regional hit “Armfull of Teddy Bear,” produced by Norman Petty. After the Teardrops broke up, Rotondo put away his drum kit, and went to work at the local steel mill, CF&I – then former Teardrops keyboardist Rick Witcowich called him. After the receptive gig, and bitten by the performing bug again, the three decided to form a trio – Guys and Doll. 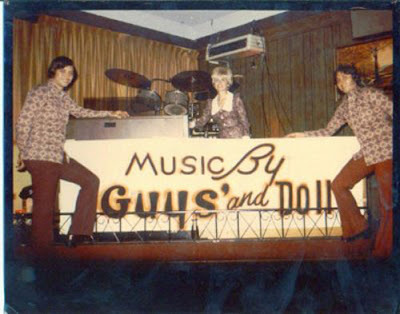 Guys and Doll (from left: Angelo Rotondo, Claudia Rotondo, and Rick Witcowich). Picture courtesy of Angelo Rotondo. “We never had a guitar or a bass in the band. We’d have musicians approach us, who wanted to join, but we never needed them – it was always two keyboards and drums,” Rotondo said. The three musicians found a receptive audience for their diverse playlist, performing three nights a week at the Caravan Club, and getting regular bookings for parties and weddings. Then the group decided it was time to take the next step – make a record. Rotondo put together ARC Records (an amalgam of their first name initials). He also contacted old friend Norman Petty to produce the session. 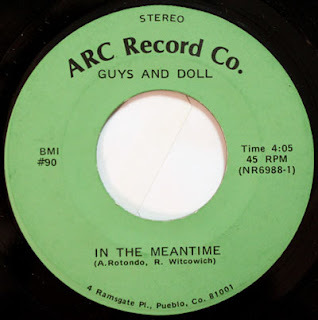 Armed with the Rotondo and Witcowich-penned “In The Meantime,” the group headed to Clovis, New Mexico, and to the studios where the Teardrops had recorded a few years earlier. Listen to "In The Meantime"
Guys and Doll sold the record at their Caravan Club shows, where they played for six years to packed audiences. Then abruptly, they decided to call it quits. “We wanted to quit while on top,” Rotondo said. Witcowich went on to form another local band, Loose Change. He passed away in 2001. 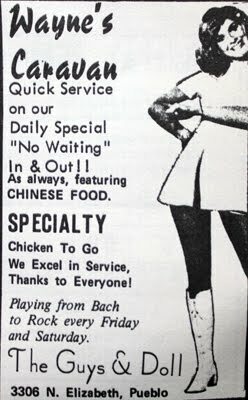 Rotondo took some time off, joined the country outfit, the Sundowners, and later hooked up with the popular polka group, the Chuck Spurlock Band. He just recently retired from CF&I, after 40 years on the job. He and Claudia divorced in 1981.